This week’s conversation will be with Dr. Erik Peper, Ph.D.. Erik and I worked as colleagues in the pioneering San Andreas Health Council in Palo Alto CA back in the early days of Holistic Medicine. He is an international authority on biofeedback and self-regulation. In this lively conversation we will explore some of the latest discoveries in biofeedback and tools for self-healing. In a world where our health care system is actually a “sick-care” system that requires us to be ill in order to function Dr. Peper focuses on the inner potential we all have to respond to disease and illness. If you, your patients, or any of those you love are dealing with cancer, this is an excellent opportunity for discovery, and to enjoy Dr. Peper’s always spellbinding presentation. If you haven’t yet encountered cancer in your life or community, this is an excellent way to prepare to deal wisely with its challenges. Erik Peper is an internationally known expert on holistic health, stress management, and biofeedback. He received his BA from Harvard University in 1968 and his PhD in psychology from Union Graduate Institute in 1975. Since 1976 he has taught at San Francisco State University (SFSU), where he was instrumental in establishing the Institute for Holistic Health Studies, the first holistic health program at a public university in the U.S.
Dr. Peper is president of the Biofeedback Foundation of Europe, former president of the Association for Applied Psychophysiology and Biofeedback and of the Biofeedback Society of California, and was the sports psychologist for the U.S. Olympic Gymnastic Team for four years. He received a State of California Governor’s Employee Safety Award in 2004 for his contributions to improving workplace health for computer users. Dr. Peper lectures and teaches frequently all over the world and runs a biofeedback practice at BiofeedbackHealth in Berkeley, California. 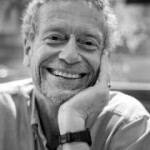 A recognized expert on stress management and workplace health and the author of numerous books and articles, he has been the editor of Psychophysiology Today since 2004 and has been featured on ABCNews.com and in GQ, Glamour, Men’s Health, Reader’s Digest, the San Francisco Chronicle, Shape, and Women’s Health.